As the largest metropolis in the United States and one of the largest on the planet, New York City and its satellites are home to more than 20 million people. These people work in everything from finance to manufacturing to communications to technological development, providing an economic engine that spreads wealth and jobs all over the country. In such a complex and densely populated area, expedited delivery services are essential and that’s where ExpeditedFreight.com comes in. By providing swift, safe shipments into and out of the city, we connect New York to the rest of the country, helping it continue thriving while spreading its wealth far and wide. New York City’s success is due to its mastery of many different industries, each of which has its own unique challenges and requirements. Take machinery manufacturing: New York and its suburbs make considerable money from producing complex machinery and metals that are used in cars, planes, and countless other critical functions. But these manufacturing operations are only possible if the city can truck in delicate supplies on regular schedules. Doing so requires investing in shippers that are able to avoid damaging their items without driving so slowly as to miss their deadlines. ExpeditedFreight.com has never let safety get in the way of meeting our deadlines or vice versa. Having pioneered a safe but swift shipping strategy, we bring each of our clients their supplies on the exact schedule they set. 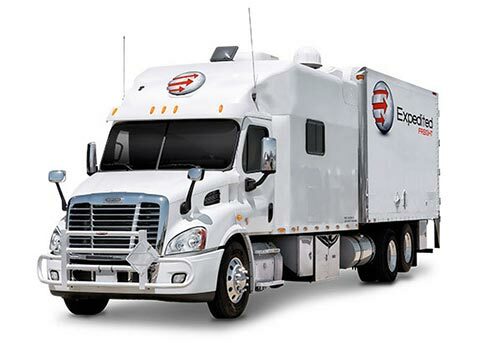 As part of our expedited freight strategy, ExpeditedFreight.com relies on dedicated shipping, meaning we devote one truck to each of our customers’ orders. In other words, you won’t have to wait for us to get to other clients before we bring your supplies. This tactic has the added benefit of leaving us plenty of room for storage equipment, thereby making it easier to ship delicate or perishable items safely. Besides dedicated shipping, we use team driving, meaning each of our vehicles must have two drivers in it when it is making a distant delivery. Each driver gets the chance to rest while the other is working; the two then switch off on regular intervals. In this way, we ensure that each member of our staff is fully rested, allowing them to operate the vehicles safely. ExpeditedFreight.com maintains a coverage network extending from California to Alaska to Nova Scotia to Florida. 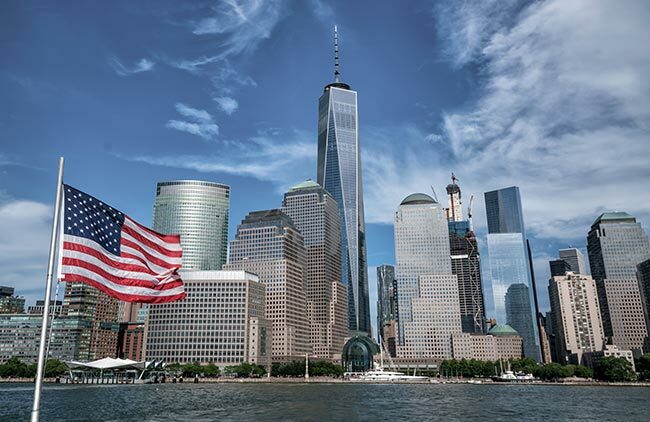 This means that we can start shipping to New York from any point in the US or Canada in a matter of hours, and if we’re shipping out of New York, we’ll have personnel nearby to unload your goods quickly. Likewise, within the New York area, we deliver into each local community. This includes New York proper, as well as other parts of New York State like Hempstead; New Jersey towns like Paterson, Middletown, Newark, and Trenton; and Connecticut communities like Norwalk. For more information on expedited freight in the New York area, contact ExpeditedFreight.com at (347) 514-9999.